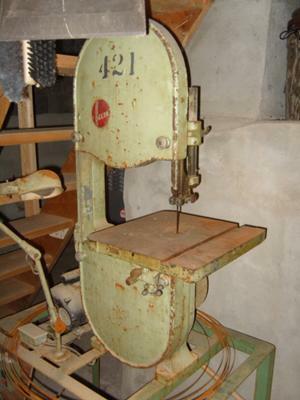 My father passed away and has an older model Delta bandsaw, I cannot find the Model No. on it but the Serial No. is 9-3754. Can anyone tell me what the Model No. is, if there is a owner's manual available and what it may be worth in a non-working condition (the lower part of the machine went through a flood and will need some restoration and a new electric motor). I was also thinking about restoring the machine, any thoughts on what it would be worth after that?